Abraham your father rejoiced to see my day; he saw it and was glad. 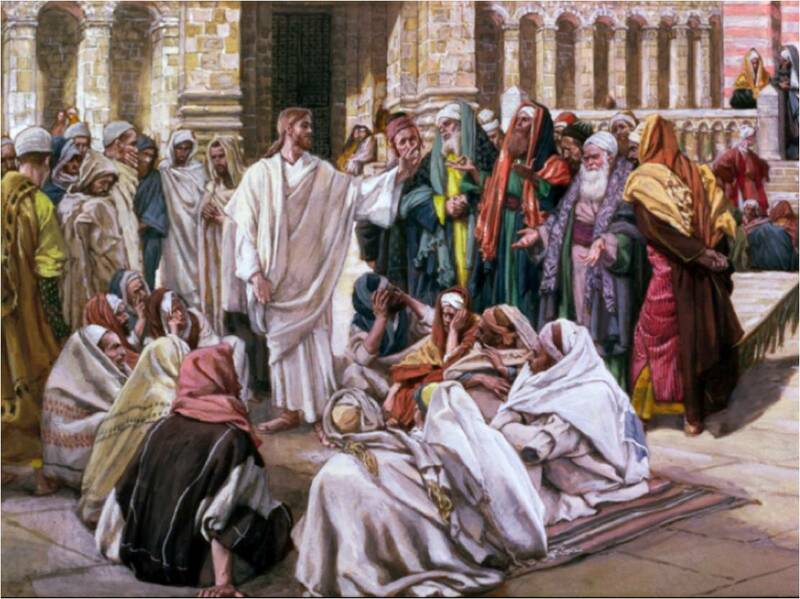 So they picked up stones to throw at him; but Jesus hid and went out of the temple area.” -John 8:51-59. 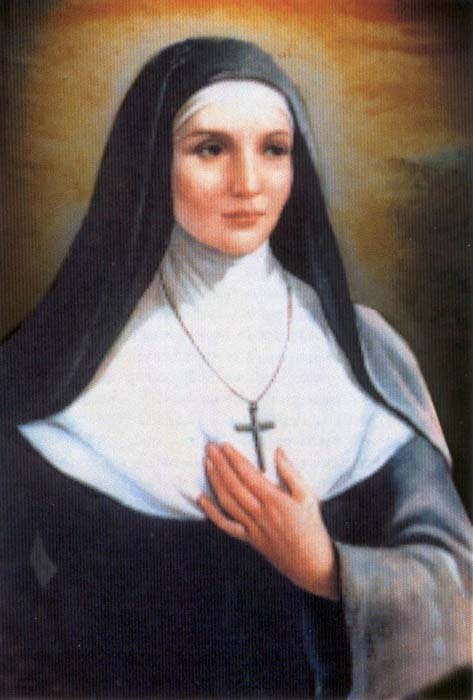 Saint Benedetta Cambiagio Frasinello was born on 2 October 1791 in Langasco (Genoa) Italy; she died on 21 March 1858 in Ronco Scrivia in Liguria. She was wife, religious and foundress. She let the Holy Spirit guide her through married life to the work of education and religious consecration. She founded a school for the formation of young women and also a religious congregation, and did both with the generous collaboration of her husband. This is unique in the annals of Christian sanctity. Benedetta was a pioneer in her determination to give a high quality education to young women, for the formation of families for a “new Christian society” and for promoting the right of women to a complete education. From her parents Benedetta received a Christian formation that rooted in her the life of faith. Her family settled in Pavia when she was a girl. When she was 20 years old, Benedetta had a mystical experience that gave her a profound desire for a life of prayer and penance, and of consecration to God. However, in obedience to the wishes of her parents, in 1816, she married Giovanni Frassinello and lived married life for two years. In 1818, moved by the example of his saintly wife, Giovanni agreed that the two should live chastely, “as brother and sister” and take care of Benedetta’s younger sister, Maria, who was dying from intestinal cancer. They began to live a supernatural parenthood quite unique in the history of the Church. Following Maria’s death in 1825, Giovanni entered the Somaschi Fathers founded by St Jerome Emiliani, and Benedetta devoted herself completely to God in the Ursuline Congregation of Capriolo. A year later she was forced to leave because of ill health, and returned to Pavia where she was miraculously cured by St Jerome Emiliani. Once she regained her health, with the Bishop’s approval, she dedicated herself to the education of young girls. Benedetta needed help in handling such a responsibility, but her own father refused to help her. Bishop Tosi of Pavia asked Giovanni to leave the Somaschi novitiate and help Benedettain her apostolic work. Together they made a vow of perfect chastity in the hands of the bishop, and then began their common work to promote the human and Christian formation of poor and abandoned girls of the city. Their educational work was of great benefit to Pavia. Benedetta became the first woman to be involved in this kind of work. The Austrian government recognized her as a “Promoter of Public Education”. She was helped by young women volunteers to whom she gave a rule of life that later received ecclesiastical approval. Along with instruction, she joined formation in catechesis and in useful skills like cooking and sewing, aiming to transform her students into “models of Christian life” and so assure the formation of families. Benedetta’s work was considered pioneering for those days and was opposed by a few persons in power and by the misunderstanding of clerics. In 1838 she turned over the institution to the Bishop of Pavia. Together with Giovanni and five companions, she moved to Ronco Scrivia in the Genoa region. There they opened a school for girls that was a refinement on what they had done in Pavia. Eventually, Benedetta founded the Congregation of the Benedictine Sisters of Providence. In her rule she stressed the education of young girls. She instilled the spirit of unlimited confidence and abandonment to Providence and of love of God through poverty and charity. The Congregation grew quickly since it performed a needed service. Benedetta was able to guide the development of the Congregation until her death. On 21 March 1858 she died in Ronco Scrivia. Today the Benedictine Nuns of Providence are present in Italy, Spain, Burundi, Ivory Coast, Peru and Brazil. They are at the service of young people, the poor, the sick and the elderly. The foundress also opened a house of the order in Voghera. Forty years after the death of Benedetta, the bishop separated this house from the rest of the Order. The name was changed to the Benedictines of Divine Providence who honour the memory of the Foundress.